In this project, we developed a 2D barcode-reading application for the iPhone that is capable of reading URLs from barcodes and launching them using the phone's built-in browser. In this project, we developed a 2D barcode reader for the iPhone that can recognize URLs embedded in QR codes, and launch URLs in the phone's built-in browser. In this report, we will discuss Related Work, the Background of the iPhone and 2d barcodes, the program's Architecture, Program Documentation, our Task List, and References. 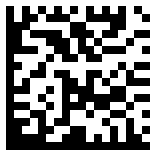 The Barcodes as URLs source code can be downloaded here. Here is a video demo of the code in action. There are many 2D barcode readers and 2D barcode-reading support libraries in existence. Here is a list of some of them. The ones that have source code available are marked by an asterisk, *. Kaywa Reader is one of the most impressive commercial readers. Notably, it can recognize codes in a video stream from the phone's camera. The user never needs to press a button to take a picture. Libdmtx* is an open source (LGPL) library for decoding Datamatrix codes. It is designed to be highly portable, and it is written in C. It was recently made available again after a year-long break. ZXing* is an open source (Apache 2.0) application recently released by Google that aims to "support decoding of QR Codes, Data Matrix, and the UPC family of 1D barcodes." Open Source QR Code Library* - This is an open source decoding library from Japan. Our application is based on this project. The iPhone is a mobile phone developed by Apple Incorporated. Although it is officially a closed platform, the community that has rallied around the phone has made great strides in making the platform a viable programming environment. http://google.com encoded in a QR Code. http://google.com encoded in a Datamatrix code. 2D barcodes, like the ones pictured above, can hold much more information than the typical 1D barcodes. Instead of containing a string of numbers, 2D barcodes typically contain much richer information, like URLs, contact information, and text snippets that can be hundreds of characters long (or even longer). There are many formats of 2D barcode in use today. The majority of 2D barcodes are in QR Code format, but there is a growing minority of Datamatrix codes coming into existence due to Datamatrix's superior data density and its support in the industrial / government sectors. The application is written in Objective-C and and is approximately 7000 lines long. The application is split into two halves. The first half is responsible for accessing the camera, setting up the UI, and using any data that comes out of the second half of the application. It is also responsible for launching the iPhone's web browser once a URL is detected. Additionally, it contains a bit of mystery code required to run on the iPhone. 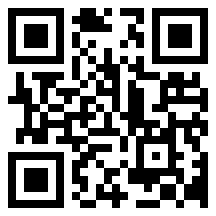 The second half is the QR code recognizer. It receives image data from the first half of the application and communicates back the decoded information. The program first gains control in the ReaderApplication.m file in the method applicationDidFinishLaunching. Here, the main view for the application is set up. After applicationDidFinishLaunching returns, the camera has been activated, and the only input the user can provide is a touch. Touches are detected in the mouseDown method. Once called, the mouseDown method immediately calls the takePicture method. The takePicture method takes a picture as long as the application is not already trying to decode a previous picture. Once the picture is taken, control is passed to cameraController which then passes the preview object to the process method. The process method initializes a new QRCodeDecoder and QRCodeImage. The QRCodeImage is initialized to the picture argument using a CoreGraphics bitmap context. The QRCodeDecoder is initialized with a retry counter and results list. The image is then passed to the decoder. The decoder first searches for a finder pattern, then orients its search based on the location of the finder pattern. From there, the standard search routine is performed and the data is decoded. If the decoder succeeds, then a string is passed back containing the contents of the 2D barcode and control is passed to the succeed method. If it fails, then an exception is thrown, caught, and control is passed to the failure method. Assuming the barcode is successfully decoded, the success method is called, which converts the string into a URL object and sends it to the built-in browser. The example reader program that comes with libdmtx already supported input in PNG and TIFF format. I modified it slightly to remove the dependency on the TIFF decoder library. Then, I used Erica Sadun's snap application to take screen shots of the camera preview in PNG format. The idea was to recognize both QR codes and Datamatrix codes in parallel. However, when trying to use Erica's snap program from inside the Reader application, system-specific conflicts occurred. It seems that when two "purple" applications are launched the one launched last crashes with an error. Application can visit a web site. Application can access the camera. Application can recognize a 2d barcode. Erica Sadun, Oktoberfest 1.1.2 Frameworks, http://ericasadun.com, Checked on December 21, 2007.